In the fifth video of this seris, Fr Douglas Martis (who has just stepped down as Director of the Liturgical Institute, Mundelein) describes the purpose of the four processions of the Mass, Entrance, Gospel, Offertory and Communion, which symbolize our movement, as an assembly of people, to heaven. As he describes this, I am reminded of a Melkite priest who pointed out to me how these same processions are more obviously processed, so to speak, in the Eastern Liturgy. Also, I was told once also that the Sarum Liturgy, the pre-Reformation Catholic liturgy of the Church in England, had a strong tradition of extended processions. 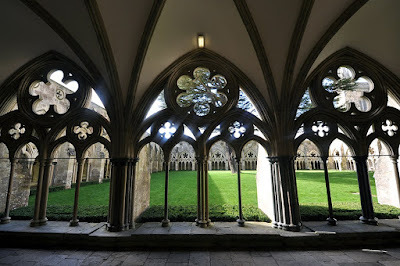 It has been speculated that this is the reason why the great Gothic cathedral of Salisbury has a long cloistered walk into the cathedral. 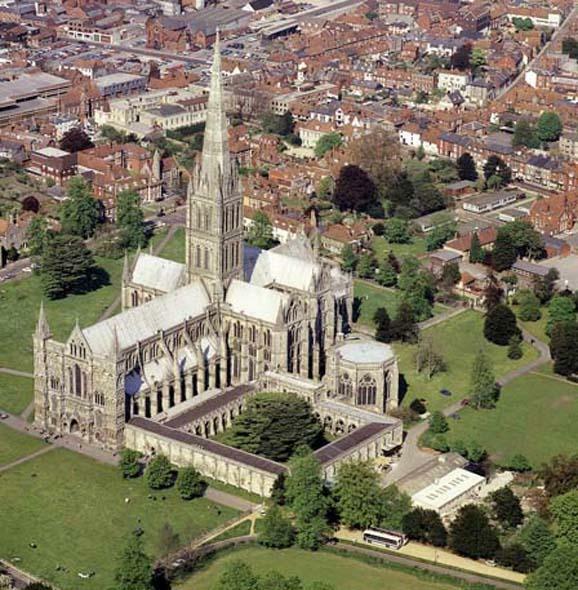 (Sarum is the old name for Salisbury) It was not a monastic design, but rather intended to allow for these Sarum Liturgy processions.